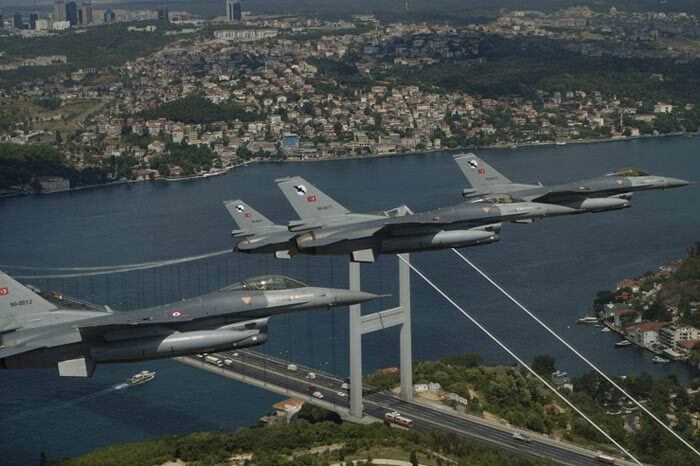 As part of an ongoing witch-hunt against the Gülen movement, 73 more military personnel have been dismissed from the Turkish Air Forces, Turkey’s Defense Ministry announced on Wednesday. “Dismissals have been made with the utmost sensitivity. Heroic soldiers who are faithful to the state and the nation are in charge. The military will get stronger and continue to serve the nation as much as it is cleaned from FETÖ [a term which label Turkish Scholar Fethullah Gülen’s sympathizers as terrorist] traitors,” said a Twitter message from the ministry. 820 more military personnel from the land and naval forces had been dismissed from the armed forces last week. The number of dismissed personnel including generals and admirals since a failed coup attempt in July has reached over 4,500. The government has also closed all military academies in Turkey due to alleged involvement in the coup attempt on July 15. Only a few hours after the coup attempt, Erdoğan said publicly on TV that it was a “great gift from God” as it would allow him “cleanse” the army. A report drafted in the wake of foiled coup of July 15 by the Institute for the Study of War (ISW), states that President Erdoğan has used the coup as an opportunity to purge a wide swath of the Turkish Armed Forces (TSK) leadership. The ISW report states that Erdoğan’s purge centralizes his authority, removes internal resistance and takes control of the training programs for young military officers in order to retain control of the TSK’s future.